My personal experiences at Mannheim Business school, Germany as a full-time MBA student. In my world, I study a lot, meet a lot of people and have lots of fun 24/7, 365 days a year. How to make the most of your MBA year. There is ‘truly’ no substitute! Even at minus2 degrees with the harsh snow against my jacket, I walked excitedly to the fancily designed building at a brisk pace. Porsche, the sports car manufacturer, opened a new museum right next to the Head Quarter in Stuttgart in 2009 to showcase its design and engineering prowess. As part of the Class of 2013, MBS provided us with a private tour of not only the cutting-edge museum but also an extended tour of the Porsche HQ. 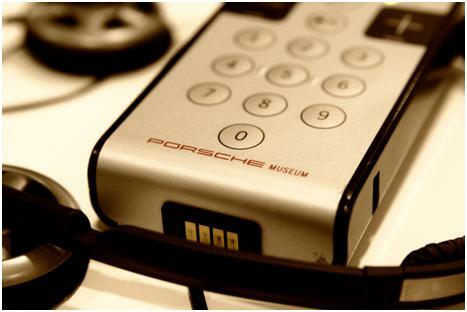 Right after the eye-candy of Porsches from over the decades, the examination of the current supply chain techniques implemented by Porsche A.G showed us a car manufacturer that always stays up to date with technology. If there were an expiry date on the manufacturing components, the car would be delivered to the customer way before the components expired! The various design, selection and implementation procedures of the company were given a run-down, which also gave us a peek into the life at a global auto manufacturer. It is truly remarkable how Porsche has stepped up its production to almost 200,000 automobiles (this year) in a size-limited manufacturing facility. The carbon fiber inserts, custom-leather dashboards and made-to-order ceramic brakes even served as an example of complex supply-chain management that we learnt as part of the MBA! Reflecting on my day at Porsche, the cherry on the cake was definitely the peek into the upcoming (stunning!) Porsches; that even topped the lunch at the rooftop Porsche casino! Categories Career Services, Company Visit, Why Mannheim business school? One hour in a bus! That’s how long it took to travel around the BASF plant in Ludwigshafen. The trip to the largest chemical companies in the world, BASF, is just a walk across the bridge from MBS. Covering the entire expanse of landscape across the Rhine from Mannheim, the facility is the largest chemical plant in the world. True to its name, BASF is a powerhouse in the chemical field with products in almost every industry known to man! Their international associations and open innovation techniques are a source of information to most companies that want to achieve a truly ‘global architecture’. The information session opened our eyes to the history, changes in the industry and challenges that the chemical industry faces in light of recent developments. Additionally the in-house consulting team and the HR provided us with insights on the exciting work along with the opportunities at BASF. The beautiful sight of first snow along with a pretty long game of snow-fight with the amazing 2013 cohort made the perfect ending to the eventful day! 1,78,000+ employees in over 100 locations with a turnover of 58 billion USD..Three numbers that constantly remind me about the size of the BASF world. Categories Company Visit, Fun with classmates!, In and around Mannheim, Why Mannheim business school? There I was, staring at a tower that reminded me of the sheer power of authority. If the surrounding skyscrapers were not already a gaping sight, the ECB stood strong in the middle with the Euro clearly displayed in the heart of Germany’s financial capital, Frankfurt. Besides excellent professors, cutting edge facilities and great classmates, the MBS experience also offers certain privileges that are limited to “once in a lifetime” (normally of course!!). The trip to the European Central Bank was one such opportunity. The security greeted us with thorough baggage and security checks followed by the mandatory identity verification. For once, I felt the security checks at the airports were a walk in the park! What awaited us was a true plethora of surprises (and I will not spoil any). The euro zone is probably going through one of the worst patches since its formation. 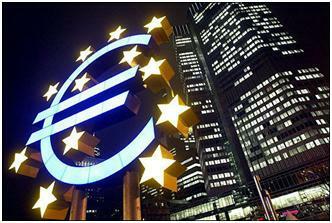 The specialists at ECB gave us a true insight into the macroeconomic factors and future prospects of the euro. Coming from the lion’s mouth, these presentations gave us an in-depth insight into the euro zone from an insider perspective. Macroeconomics – a word that tells a lot of stories. According to our distinguished professor it is “a subject that explains every phenomenon we see around us”. Adding to the experience, we networked with some bankers from the region over sparkling wine and Käse, discussing economics to our hearts content. The setting sun and the view of the Schloss made me realize the day has come to an end. And, of course, that I need to prepare for the next adventure! Categories Company Visit, Soft skill courses, Why Mannheim business school? Admission alumni weekend Career Fair Mannheim career fair tips Career Services Company Project Company Visit Fun with classmates! German classes! Ich kann Deutsch :) Graduation! Hard skill courses In and around Mannheim International Experience making the most of career fairs MBS Spring Reunion Post MBA life Soft skill courses Sports in MBS Student Clubs at MBS The Social Project Uncategorized Why Mannheim business school?